Tiger nut flour is obtained through the whole grinding of clean tubers in our state-of-the-art milling line. Through subsequent sieving, we obtain different textures depending on the needs of the client. Tiger nut flour is a high fibre food, with important content of minerals, vitamins and healthy fats. Milled tiger nuts are an ingredient that adapts to all types of diets and food intolerances. It has a pleasant, natural and sweet flavour which makes it possible to limit the use of sugar in recipes and because of the large list of nutrients it contains it is a very healthy ingredient. Tiger nuts are tubers, not nuts! They are not in any of the 14 major allergen groups, being gluten-free and not containing fructose or lactose. In our facilities, we exclusively work with tiger nuts, so there is no possibility of finding traces of other foods. We have developed a grinding process that does not exceed 40ºC in temperature even with the extra fine quality, unique in the market. 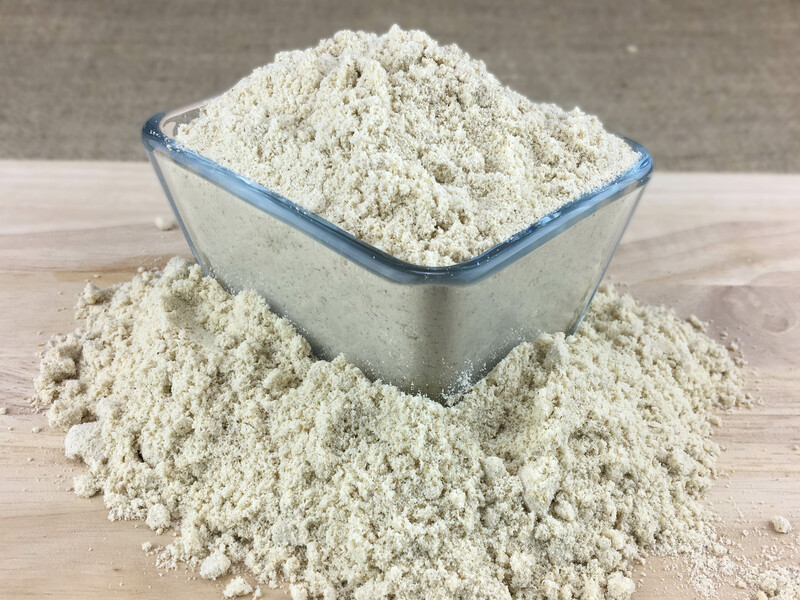 We obtain in this way a tiger nut flour of maximum quality that conserves all its properties and is suitable in diets of raw or minimally processed products. This product opens a range of possibilities for tiger nut in the modern food landscape, providing many alternatives for traditional cooking, especially for bakery and confectionery. With tiger nut flour you can make incredible recipes such as biscuits, cakes, cookies, muesli and delicious crêpes. It is recommended to keep tiger nut flour in a cool and dry place, closed in an airtight container, with an ideal temperature bellow 8ºC, not exceeding 20ºC and away from direct sunlight. Our organic Valencian tiger nut flour is certified by the CAECV that periodically evaluates and examines our production and by the C. R. Chufa de Valencia, the Regulatory Council that controls quality and authenticity and proves its cultivation in Valencia. All our processes are strictly governed by a certified HACCP system and analytics of all batches are carried out to verify their quality.